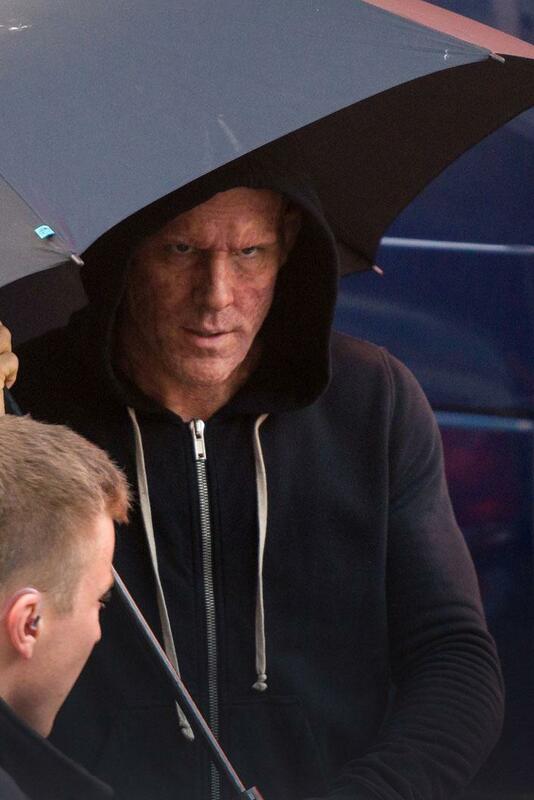 There was a small leak of pictures that came from the Deadpool movie set. One picture was taken of Ryan Reynolds with the Deadpool scarred face. Another was taken of the character Weasel talking to a stripper. Weasel is known for supplying Deadpool weapons. Another shot showed the actress Morena Bacarrin who will play the character Copycat. Reynold's also tweeted out this picture of Deadpool in full costume. I think the suit looks freaking sweet! I am eating up what I am seeing from this movie so far. You can see that there are some CGI dots on his eyes where an effect will likely go.